I am generally interested in conservation prioritisation approaches, and I am involved in a working group focussed on resource allocation problems for threatened species using the Project Prioritisation Protocol (PPP) method. Specifically, I am working with Will Probert, Ayesha Tulloch, Liana Joseph, Joe Bennett, Hugh Possingham, and Richard Maloney (from New Zealand’s Department of Conservation) on evaluating trade-offs between target persistence levels and numbers of species conserved. I am also working with Jonathan Rhodes, Eve McDonald-Madden and Lochran Traill on reformulating the decision between learning further about a system or using a general MVP size upon which to base management action. My current research also involves building on my PhD findings, to understand how differences in wildlife population time-series dynamics can be used as a mechanism for prioritising conservation effort and informing optimal monitoring strategies. I am collaborating on a project with Edd Hammill, Jonathan Rhodes and Eve McDonald-Madden on this topic. 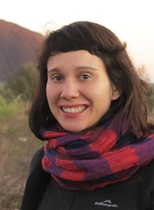 I joined UQ in October 2012 after completing my PhD at Imperial College London and the Institute of Zoology under the supervision of Georgina Mace and Ben Collen (who have both moved to University College London). I have an MRes in Ecology, Evolution and Conservation from Imperial College and a BSc in Biology with French from the University of St Andrews. For more information and my full list of publications, see my personal website!